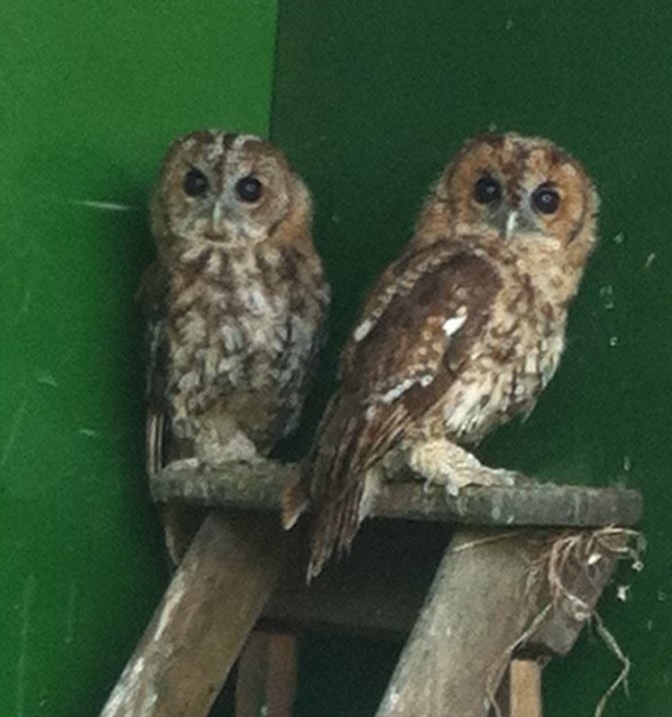 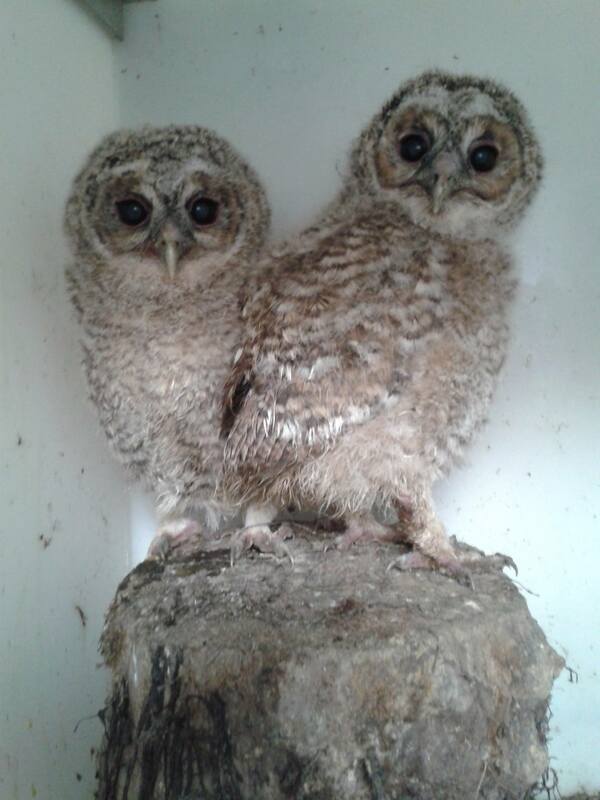 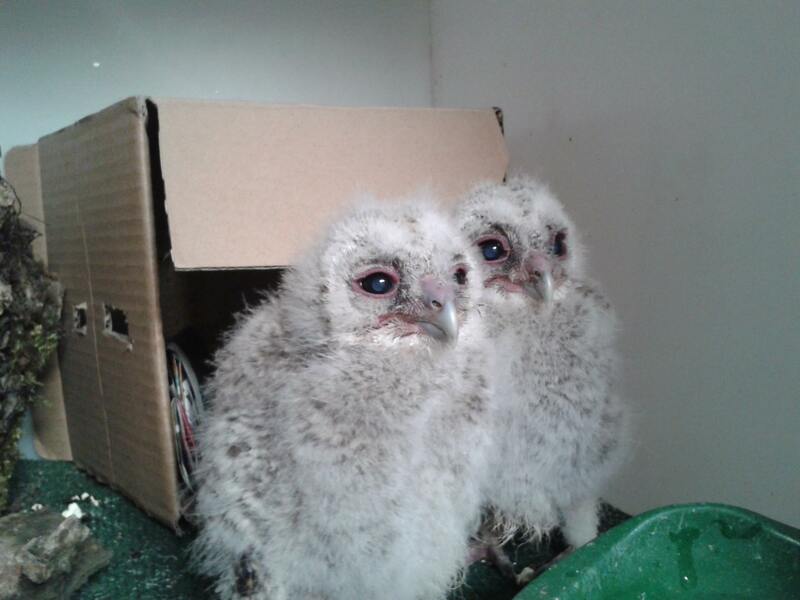 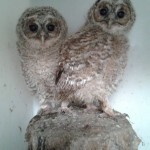 The two ‘orphan’ Tawny Owls that were brought from Ashbourne vets in early May were released a couple of weeks ago. 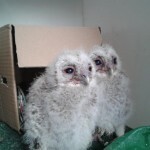 We have used a hacking out aviary and have been leaving food for them each night until they have learnt to hunt for themselves. 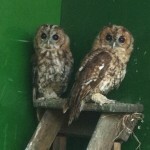 It was great to see them both last night return for food and fly off into the wood.